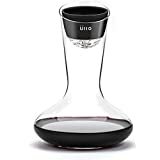 If you love drinking red wine and wonder what it would taste like without all the added sulfites (artificial preservatives), then pour a glass through this cool new Ullo Wine Purifier. 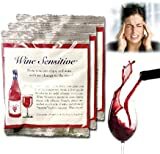 Sulfite preservatives are no longer necessary once you open the bottle and this innovative wine purifier instantly restores red wine to its natural state by removing only bitter sulfites and sediment through Selective Sulfite Capture polymer filters. 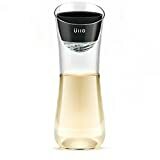 One filter filters a single 750 ml bottle of red wine and the Ullo unit is designed to fit on top of most wine glasses for easy pour through. 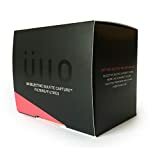 To enhance the taste and aroma of the wine further, it also features a built-in aerator that can easily be switched on or off depending on if you will be drink red or white wine. Check out this video to see it in action.